Welcome to Grossman Forestry Company Qualifications Page. 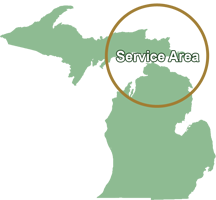 We have the qualification and experience necessary to manage Upper Peninsula properties with success. We have over 375,000 acres currently under our care. 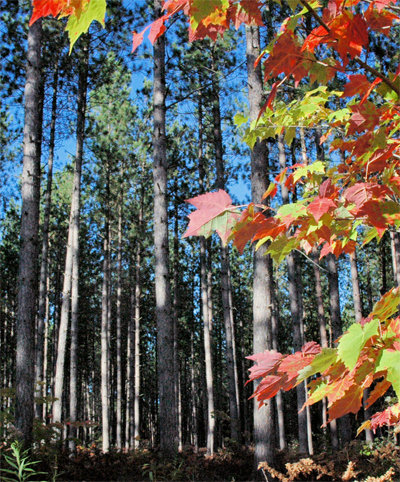 Grossman Forestry is a privately owned forestry consulting firm located in Newberry, MI. We assist Michigan's private landowners with forestry and wildlife management. Our company currently employs seven full-time qualified consulting foresters with secretarial support. Gerald H. Grossman holds a bachelors degree in forestry from the University of Michigan and graduate degrees in Forestry and Business Administration from Michigan State University. 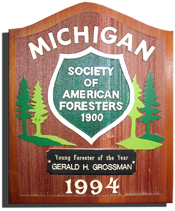 Gerald was named Michigan Young Forester of the Year in 1994 and Michigan Forester of the Year in 2005. He served as chair of the Michigan Society of American Foresters in 2004 and served on the American Tree Farm System National Operating Committee (2007-2009) & Forest Certification Committee (2007 - 2014), and as a member of the Michigan Forest Stewardship Advisory Committee (1991 - present & past Chair) and as a Trustee of the Tahquamenon Area School Board of Education (2006 - 2014). Below you will find our Employee Qualifications to browse. We want you to feel the confidence you deserve when appointing a company to manage your family's forestry future. Grossman Forestry Company has registered Upper Peninsula Foresters and Upper Peninsula real estate agents available for all of your land and/or timber needs. We specialize in vacant lands as our primary business and are trained and qualified to recognize any potential timber value on your parcel.